Then came a BA in history and international relations at Nottingham followed by a Master of Philosophy course at the University of York. In 1990 I decided to apply for a job in the publishing industry as an editor. I joined a small company in said position in the summer of that year. I have been a full-time writer since 2012. Set against the backdrop of World War I and the Russian Revolution, ‘The Ice March’ is the story of Mikhail Petrov, an impoverished peasant who is drafted into the Russian Imperial Army in 1914. He is soon caught up in tumultuous events as the Imperial Army suffers defeats, retreats and huge losses on the Eastern Front. But Mikhail’s star rises as Russia’s falls and soon his fate is entwined with that of a young, beautiful princess. In the drama of the Russian Revolution both flee Moscow to seek sanctuary in the Cossack lands to the south. There Mikhail joins the Whites and their tiny Volunteer Army. But the Bolsheviks are determined to wipe out the ‘counter-revolutionaries’ and thousands of Red Guards are soon marching against them. The scene is set for a campaign that will determine whether Mikhail and the Whites will survive or perish on the icy steppe of the Kuban. ‘Parthian Dawn’ is the second volume of the adventures of Pacorus the Parthian and his companions – the fierce and proud Gallia, the ex-Roman centurion Domitus, the scout Byrd and the sorceress Dobbai – as they battle for their lives against the backdrop of the clash between the ancient world's two greatest empires. ‘Parthian Vengeance’ is the third instalment in the Parthian Chronicles, the adventures of King Pacorus of Dura, and follows on from ‘Parthian Dawn’. The brooding peace that hangs over Parthia is shattered by a murder that triggers the final confrontation that will decide who rules the empire. Pacorus leads his veteran army east to destroy once and for all the forces of his implacable enemies, Mithridates and Narses. But his foes have been waiting for this moment and what Pacorus believes will be a short campaign will turn into a long war that will culminate in the bloodiest battle in the history of the Parthian Empire. ‘Carrhae’ is the fourth and final instalment in the Parthian Chronicles, the adventures of King Pacorus of Dura. It follows on from ‘Parthian Vengeance’. Even Dura’s mighty army cannot stave off a series of defeats as the enemies of Parthia circle the empire like hungry wolves. And Pacorus knows that Marcus Licinius Crassus is marching east to extend Rome’s rule from the Euphrates to the Indus and enslave the whole of Parthia. The scene is set for a showdown on the battlefield of Carrhae, a clash that will decide the destinies of two empires and two men. They called themselves Companions – those who escaped from Italy with Pacorus in the aftermath of Spartacus’ uprising, travelling across the Mediterranean to make their home in Parthia. They subsequently assisted Pacorus in turning the Kingdom of Dura into one of the strongest realms in the Parthian Empire. But one Companion was unwittingly left behind and condemned to the living hell of Roman slavery. When Pacorus discovers this he and a band of comrades embark on a perilous quest to find and free him. Thus begins a journey that will see the King of Dura follow in the footsteps of Spartacus himself as he heads for gladiatorial games being held in the Roman-controlled city of Ephesus. This, the fifth volume in the ‘Parthian Chronicles’ series, is set in the time between ‘Parthian Dawn’ and ‘Parthian Vengeance’. Did you think the gods would leave you alone, Pacorus? Did you truly believe the Romans would forget the humiliation of Carrhae and not rest until they had won back their lost eagles? Pacorus had believed the defeat of Crassus would signal the end of Roman interest in Parthia and for many years his kingdom knew peace and prosperity. But the vindictiveness of Queen Cleopatra of Egypt draws him and the Parthians into a new war, one in which they would be fighting for their very existence when her husband Mark Antony invades the empire at the head of over one hundred thousand men. 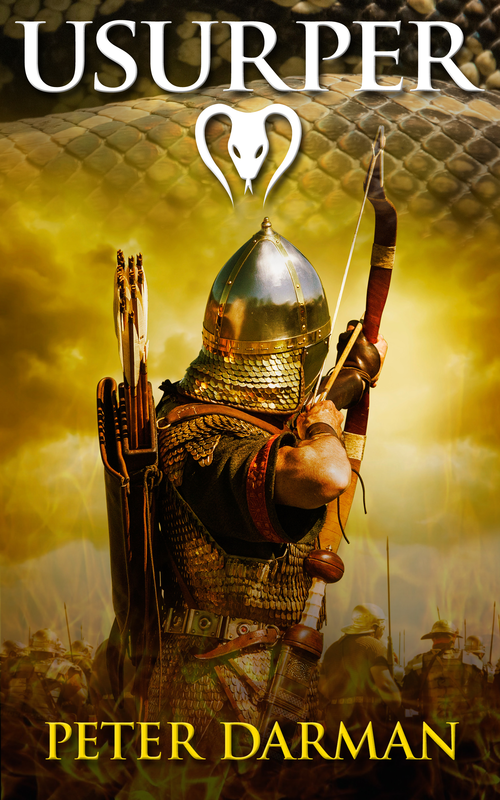 At first the new high king of the Parthian Empire refuses the assistance of Pacorus and his famed army, but as disaster follows disaster only Dura’s soldiers can save the empire from being swallowed whole by the Romans. An older, wiser Pacorus is forced to take the field against the might of Rome once more in a war that will be a turning point for him, the empire and his family. ​Doting father? Man of peace? These things are not you, Pacorus. Have you not heard of the hydra? Cut off one of its heads and two more will replace it. You defeat one enemy and another springs forth to torment you, just as the gods torment you with endless strife. After the defeat of Mark Antony Pacorus has returned to the city of Dura to prepare for a happier campaign: the wedding of his daughter to a prince of a kingdom on the eastern frontier of the Parthian Empire. Pacorus and his family and friends travel to the east to attend the wedding of Princess Isabella, but old scores need to be settled and a new power is rising beyond the Indus that will threaten the empire itself. Can Pacorus and the surviving Companions can save the empire and the reign of the young, duplicitous king of kings from the barbarian hordes in the east? 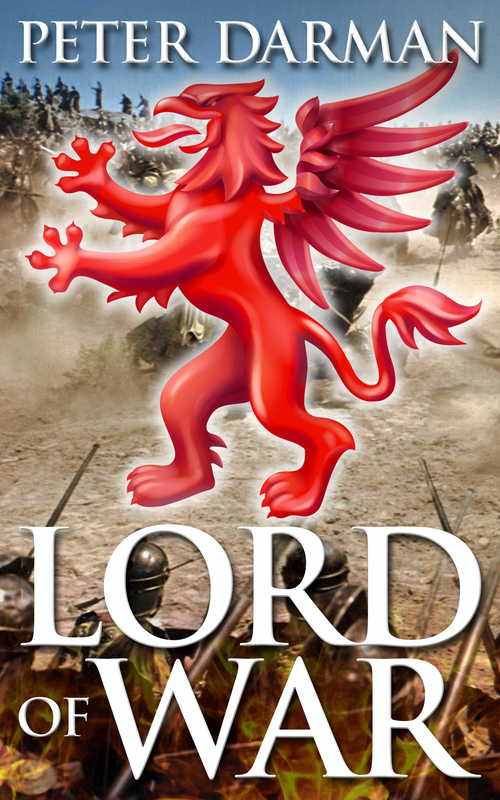 ‘Usurper’ followers on from ‘Sons of the Citadel’. 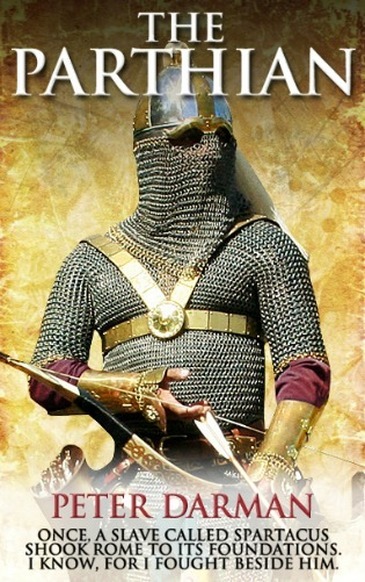 A map of the Parthian Empire can be found on the maps page of my website: peterdarman.com. 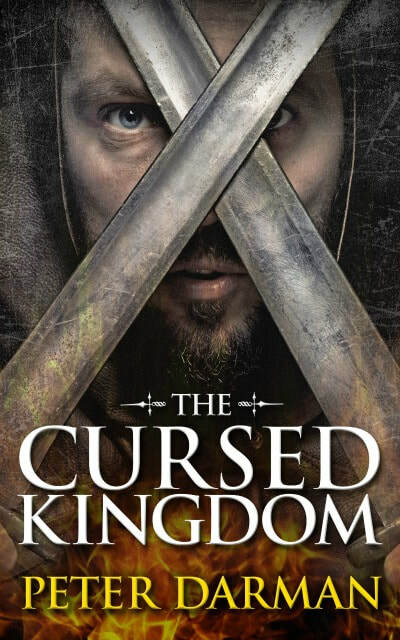 ‘The Cursed Kingdom’ is the eighth volume in the Parthian Chronicles and follows on from ‘Usurper’. A map of the Parthian Empire can be found on the maps page of my website: www.petedarman.com. Outraged by the behaviour of the Sword Brothers, King Valdemar has placed a blockade on the whole of Livonia. With the Danes having a stranglehold over Livonia the crusader state is slowly dying, made worse by an outbreak of pestilence at Riga. But when the Danish king invades the island of Oesel the wheel of fate turns and Valdemar finds himself at the mercy of the Sword Brothers and Conrad Wolff, the man he wanted to have executed. The Sword Brothers and Conrad’s Army of the Wolf save King Valdemar who lifts the blockade, thus saving Livonia. But Conrad has many enemies and an act of wickedness causes conflict to flare up on Livonia’s eastern borders that will threaten not only the crusader state but also the life of Conrad himself. And south of the River Dvina, among the Lithuanian kingdoms, a great power arises that will have grave consequences for not only Conrad but also for the whole order of Sword Brothers. This, the third volume of the Crusader Chronicles, continues the story of Conrad Wolff and the Baltic Crusade in the first quarter of the thirteenth century. A new Papal Legate has come to Livonia but he is no friend of Conrad Wolff or the Sword Brothers. Grave charges are levelled against the commander of the Army of the Wolf, leading to a series of events that threatens to rip apart the crusader state in the Baltic. Conrad and the Sword Brothers are now masters of all they survey. The crusader state they have created by the sword is strong and prospering but peace is only temporary. The riches of Novgorod, now threatened and weakened by the Mongols, is an irresistible target for Bishop Hermann and the Papacy, leading to a new and bloody crusade against the Russians. For Conrad the appearance of an enemy from his past will reawaken old wounds and a thirst for revenge. But his actions will have a catastrophic effect on the Sword Brothers and will set in train a sequence of events that will lead to a final confrontation between East and West on the frozen surface of Lake Peipus. This battle will be a defining moment not only for Conrad Wolff and the Sword Brothers but also for European history. This, the final volume in the Crusader Chronicles series, sees Conrad and the Army of the Wolf embark upon their final, fateful campaign. Congratulations on reaching a landmark birthday, Pacorus. And to celebrate the gods have sent you a present. As your friends gather at Dura to commemorate the man who is a Parthian legend, the immortals send a storm from the east to plunge the empire into fresh conflict. Do not be angry. They honour you and wish to see you doing what you do best, warlord, no matter how much blood is shed. As friends are lost and the peace he has fought so hard for crumbles before his eyes, a weary Pacorus is forced to lead his army once more into battle. 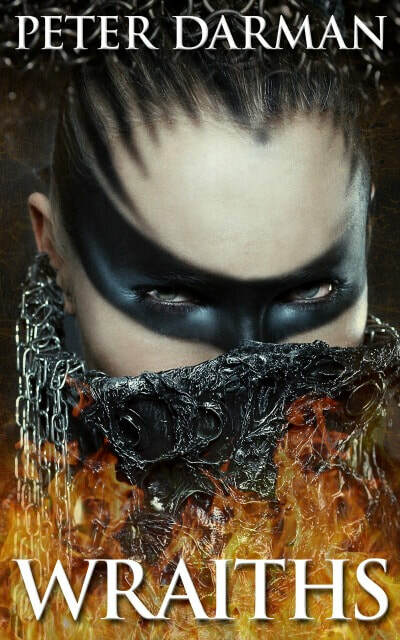 But the new campaign is different from previous ones, as old enemies become new allies and the world and certainties he has known are turned upside down. Can he restore the man he has pledged his allegiance to, or will the powerful rebel alliance prove irresistible and create a dark chasm into which Parthia will be sucked? 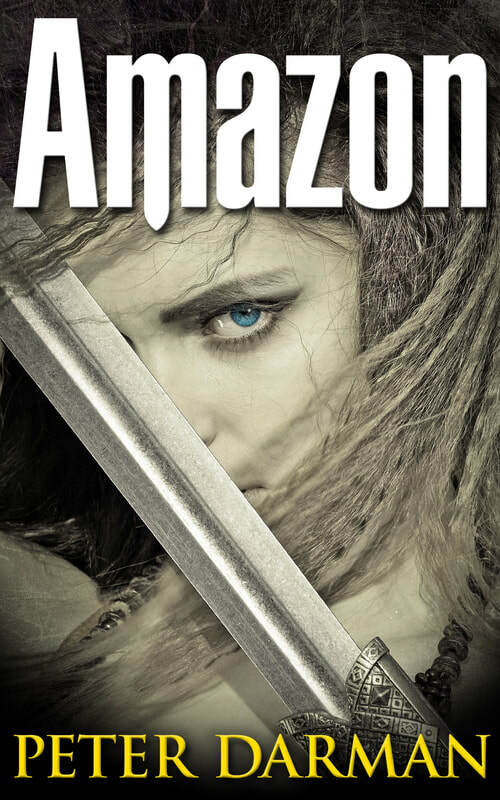 ‘Amazon’ is the ninth volume in the Parthian Chronicles and follows on from ‘The Cursed Kingdom’. A map of the Parthian Empire can be found on the maps page of my website: PeteDarman.com. ‘The Slave King’ is the tenth volume in the Parthian Chronicles and follows on from ‘Amazon’. A map of the Parthian Empire in the 1st Century BC can be found on the maps page of my website: www.peterdarman.com.